Shaine Mata Blog: The thrill is gone? The blogging spirit seems to have died out a bit in me. I'm not sure if it's that I am busier, that micro blogging has diverted some creative mojo, or if I am simply less interested in sharing. Perhaps it is a combination of all of the above. 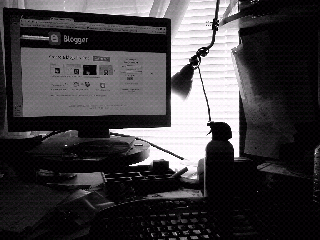 Do you blog as much as you have in the past? How do you get inspiration for blog posts? Is blogging business or personal? Woohoo! I got Google Music Beta!